It's no secret the Democrat National Committee has been struggling since the 2016 presidential election, when former Chairwoman Debbie Wasserman-Schultz rigged the primary in favor of two-time loser Hillary Clinton, to raise money ahead of the 2018 midterms. But the red ink for current DNC Chair Tom Perez keeps getting deeper. The DNC is $6 million in debt and according to FEC records, just took out another $2 million loan to keep daily office activities operational. Meanwhile, the RNC is still smashing fundraising records with Chairwoman Ronna Romney McDaniel at the helm. The RNC raised $12.8 million in February and $157.7 million overall in the 2017-2018 cycle. It is a record for a non-election year. The RNC is also destroying the DNC on small donations. 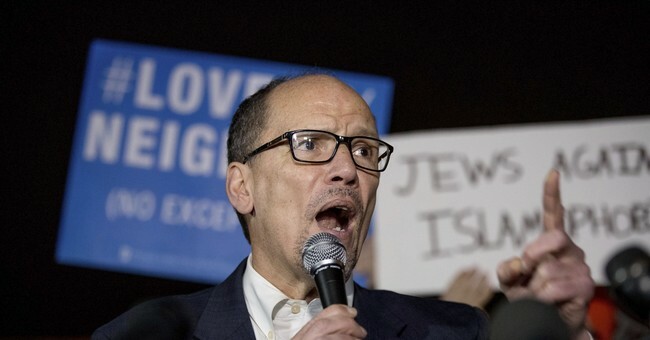 Meanwhile, the civil war inside the DNC continues as Perez drowns in criticism over his repeated failures to bring in much needed cash for the Party.